A few rules to live by: Be fearless, be brave, be bold. Style is a way to present these rules visually without saying a word. Style is concrete and timeless, fashion is movement in which allows your body to work as a living canvas—fashion is art. 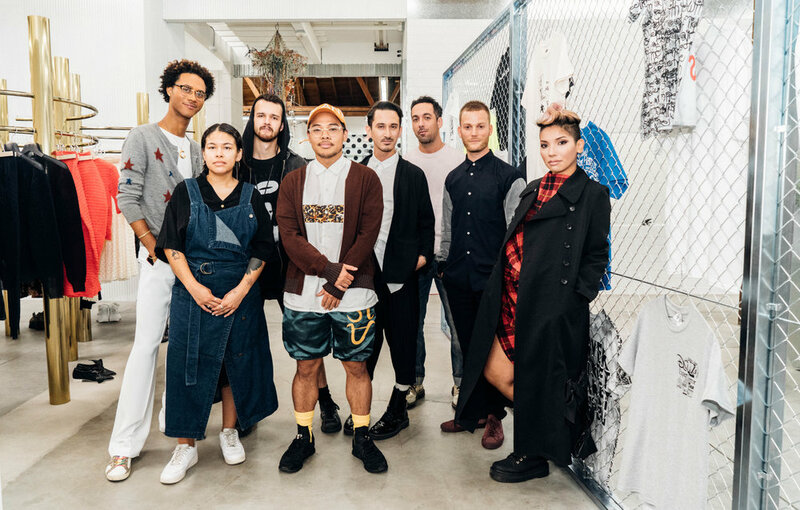 It’s logic why the defiant Dover Street Market has chosen the Art’s District DTLA as its sixth location worldwide, aiming to connect to downtown minds who share an aptitude for virtuosity. DSMLA has landed and invites any wandering consciousness to enter its living diorama of beautiful chaos combined with chic, alternative, and fierce synergistic energy, headlined by the works of fearless designers, artists, and creatives. It’s the imaginative dimension we’ve been waiting to arrive in the Arts District. The single-level experience feels like you have boarded a spaceship from a far away galactic universe of inventive expression. The retail space — all 15,000 sq ft. of it —consists of two adjoined concrete buildings accessible by two entrances. Here, visitors walk through the mind of creative designer Rei Kawakubo, and her intended vision for Dover’s environment. Two massive trans-lateral huts pierce the dividing wall between the two buildings with a collage of colors and textures guided by sharp metallic sheets. Creamy handmade ceramic tile echo light that makes the space feel infinite and elucidates in-store installations from Comme des Garcons, CDG SHIRT x Basquiat, Noah (first retail space in LA), Maison Margiela, Marine Serre (first shop-in-shop in the world) Ambush, Ashley Williams and Christopher Nemeth, and so many more. 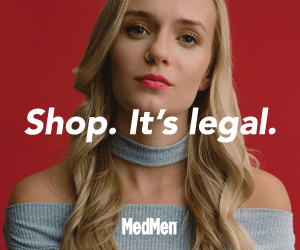 Beyond the threads are well-thought jewelry collections from Alice Cicolini, Charlotte Chesnais, and Cody Sanderson, as well as sneaker sections, accessories, a ‘Welcome to LA’ theme, and various limited collections of different colors and natures. Amidst the labels and brands are the works of six artists, Warren Muller, Lyn Dillin, Bjorn Dahlem, Yuichi Higashionna, Gary Card, and Stuart Haygarth whose detailed chandeliers feel as if they are floating through the infinite air. The inspirational art even captures the senses of sound and taste. All audio is curated by DSM’s global sound director, Calx Vive and you can enjoy it in Dover’s 40-seat Rose Bakery, with both an indoor and outdoor space. It will serve seasonal fare comprised of the best produce offered locally with a menu that transforms each day. When one imagines a modern-day Downtowner, the rules to be fearless, be brave, to be bold, easily serves as our mantra. Perhaps within its infinite universe of fashion and art, DTLA was the distant world that Dover Street Market was searching so vigorously for — never intending to be visitors, they have arrived.